There is a lot of misinformation and bro-science surrounding the topic of pre-workout supplements. 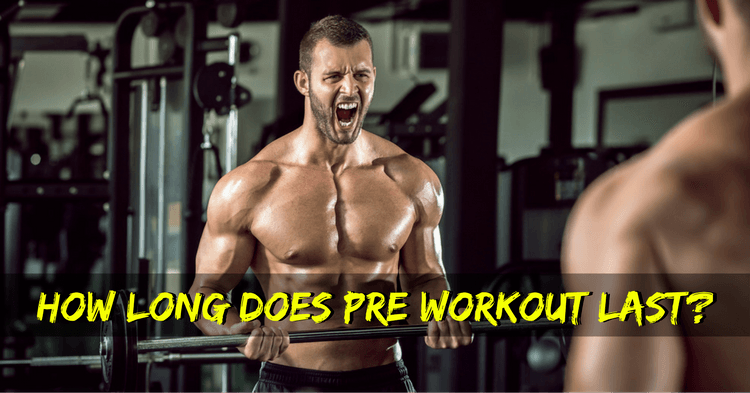 How long does pre workout last, what are the side effects and when to take it are common questions that few people know the exact answers to. 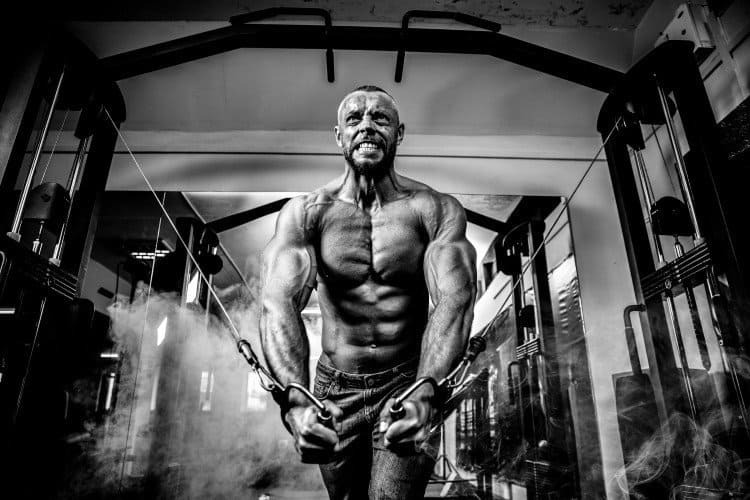 To answer them and to make your workouts even more kickass, we’ve gathered all you need to know about pre-workout supplement below. Pre-workout supplements, or pre-workout for short, are a group of fitness products meant to be taken an hour (or less) before your workout in order to wake you up, kick your nervous system into overdrive and generally make your workout more awesome. That goal is accomplished with a carefully chosen combination of ingredients. There are two major categories: stimulants and performance enhancers. The primary stimulant in the majority of pre-workout supplements is caffeine, our kind morning friend. Other ingredients include creatine, beta-alanine, L-arginine, niacin, protein, and many others, which all perform distinct functions, from boosting strength to providing a better pump and even making your brain work faster. Each pre-workout supplement has their own blend of various ingredients in the quest for the ultimate mix. However, that means that there are a lot of options when it comes to picking one product, which can get confusing. But generally speaking, all of the major brands on the market are effective. In general, the effects of pre-workout kick in about 30 minutes after consumption. From then, the effects are going to last from 1.5 hours to 2.5 hours, and even up to 6 for some residual effects. That should cover most workout routines, so there is no need to take another dose of pre-workout in the middle of your gym session. If you are not sure if your pre-workout is working in the way it is supposed to, first off, wait a bit for it to kick in. Don’t be the guy who takes another scoop after 10 minutes. Some supplement take 30-45 minutes to full power. But when it kicks in, look for these signs. This should be fairly noticeable, especially if you were tired before you took the pre-workout. You should experience a surge of energy with renewed motivation and a feeling that you can move mountains. If your blend contains cognitive stimulants like theanine and L-tyrosine, you will experience an increase in focus. You will be able to concentrate on the task at hand better; some describe this feeling as being like a laser cutting metal instead of a campfire. No, skin tingling is not an indicators of something bad happening. It is a completely natural reaction to beta-alanine and is called the histamine response. The small nerve endings in the top layer of your skin are being overstimulated and fire at an increased rate. Beta-alanine has been proven to be 100% safe and its effects are very well documented. There is a multitude of factors that can influence the effectiveness of your pre-workout blend. Your personals stats, such as your age, body weight and muscle mass all play a part. Obviously, the more your weigh, the less effect a certain dose will have on you. As you age, your receptiveness to certain supplement ingredients may change as well. The quality and type of ingredients matter. Not all pre-workouts are created equal. Many do not have the ingredients listed, instead listing “proprietary blends” (more on them later). Choose a pre-workout with a good reputation for transparency. So does the quantity. But: DO NOT take more than the prescribed amount. They are on the label for a reason: to prevent possible side effect. Does your heart failing because of too much caffeine sound fun? Didn’t think so. Follow the recommendations you receive with the pre-workout and you will get all the benefits while staying within the safe limits. Your general diet impacts much more than just the effectiveness of the supplements you take, and is really the bedrock of you healthy and performance. Getting the right amount of calories and both macro- and micronutrients daily, as well as drinking enough water will go a long way to make your supplementation shine. Your fatigue level, or how tired you are, also effects their effectiveness. At the end of a stressful week you’ll need more help from your pre-workout than on a Monday, rested after the weekend (hopefully). And lastly, your tolerance to caffeine plays a huge role in the effect you will perceive from your pre-workout. If you are drinking five cups of coffee a day, it might be time to think about cutting down. Probably the most immediately noticeable change after taking pre-workout is the surge of energy you feel when it hits. It can turn a drowsy workout into a PR-setting session. A study published in the International Journal of Medical Sciences found that scores for energy and concentration were “significantly higher” when using pre-workout. In the same vein, pre-workout is a great solution for anyone working out in the morning. Some of us just aren’t morning people and a slight kick may be needed to get us moving. While having high motivation for working out is great, it won’t be there all the time. For the days when it simply isn’t there for one reason or another, a pre-workout can get you ready to get some gains in spite of fatigue. Primarily due to theanine, L-tyrosine and other cognitive function stimulants, pre-workout supplements increase your ability to focus. During heavy lifts, it is extremely important to be laser focused on your technique, as any little mistake in form can mean less pounds on the bar, or worse, an injury. It can also help you when working on hypertrophy to really be able to concentrate and feel the muscle you are working. Caffeine, an ingredient in the majority of pre-workout supplements, is a known weight loss aid. It increases the amount of energy your body burns in a day by stimulating thermogenesis. The only thing to be careful about is building tolerance to caffeine. If you consume it regularly, you will need larger and larger doses to get the same effect. That is why it is recommended to have a caffeine-free day or two every week, or alternatively, have some days where you only consume half as much. Creatine and beta-alanine, two common ingredients, have been found to have very positive effects on endurance performance. In a 2006 study into their effects, 28 days of supplementation led to better endurance performance. In another study from Japan, “it has been shown that people whose muscle carnosine was high could exhibit high power during the latter half of the 30 second maximal cycle ergometer sprinting”. Basically, this means that you will be able to sustain quality effort longer in your workouts. Those long sets of 10 or 15 will benefit, as well as the isolation work at the end, when you are usually already tired from all the heavy lifting. 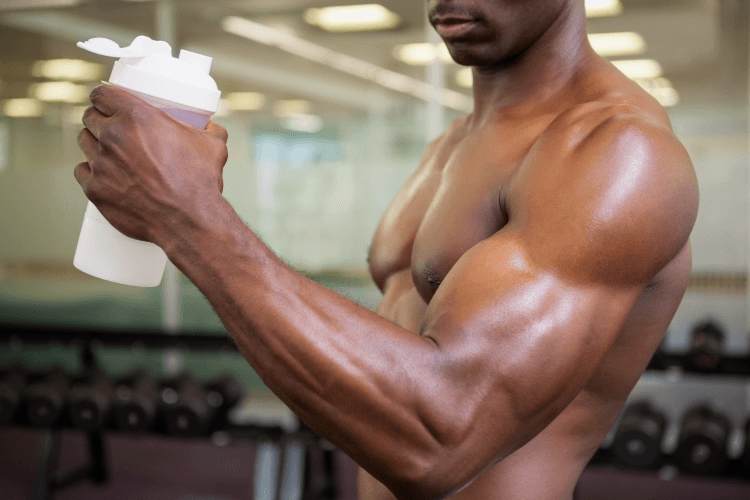 While pre-workout supplement are generally safe in recommended doses, it is helpful to know why you shouldn’t take more and why they should be more of a last resort solution than a daily routine. Too much caffeine can interfere with our sleep patterns. Especially if it is taken in the evening, close to your sleep time. Therefore, using pre-workout for evening gym sessions is not recommended. Well, unless you are in the gym on Friday night for the 50 supersets of biceps and triceps before you hit the local bars. Pre-workout ingredients raise your blood pressure and heart rate, which combined with hard exercise can put the heart under undue amounts of stress. While the majority of healthy people won’t ever experience serious problems, there are also many people who live with undiscovered heart problems. These can not turn up before it is too late. If you experience anything out of the ordinary, go and get checked by your doctor. Unfortunately, some pre-workout supplements can give you the runs. This happens because some of the ingredients act as laxatives: sodium bicarbonate, magnesium, taurine, arginine, Yohimbe, creatine, and of course, caffeine. The solution to this is to add more water to the mix. Sometimes, the amount of water recommended on the label isn’t enough and can form a paste inside your stomach. If you’re experiencing problems of the kind, add more water next time and see if that fixes the problem. Certain ingredients can cause dehydration by draining water from your body. This can cause all kinds of problems: diarrhea and headaches being the most prominent ones. As you can see, a lot of these side effects are connected with hydration: make sure you are getting sufficient water! In general, that means around a quarter of a gallon (1 liter) per 45 lbs (20 kg). As we said before, tingling is a normal and harmless reaction to beta-alanine, and while it technically is a side effect, it is not a harmful one. In general, it goes without saying that any kind of vomiting, cramps, excessive sweating, chest pain or anxiety are not normal reactions and that you should stop taking whatever caused the reaction. For healthy individuals without preexisting medical conditions, pre-workout supplements are by and large safe. However, it pays to be cautious. A label that says “proprietary blend” should make you run for the hills, as it means that the company isn’t willing to share how much of a certain ingredient they put into their product. Often, these doses can exceed the safe recommendations, which increases the health risk, or the doses are below limits at which the ingredients become effective. In other words, use at your own risk and rather choose supplement companies that don’t hide information from you with the goal of making more money. Supplements are most effective when they are supported by good nutrition and a healthy lifestyle: enough sleep, water and sunshine. Besides that, here are some tips to maximize the effectiveness and safety of your pre-workout. You want the hit to happen right at the start of your actual workout, after the warmup. Different workouts have different acting times, so make sure you read the label and follow the instructions. Usually, it takes around 15 to 45 minutes for it to fully kick in. With a bit of experimentation you will easily find the best timing that works for you. If you have to fight traffic to get to the gym, a nice tip is to take it in the locker room instead of at home. In the time it takes you to change and warm up, the pre-workout will be flowing through your veins at full speed. As we’ve said before, going over the recommended dose will not yield additional gains, but it will increase the risk for side effects, including some pretty serious ones. If you plan on taking a pre-workout supplement, I’d advise against drinking coffee before it. The reason for that is that the stacking of caffeine from coffee and the pre-W blend can exceed the recommended dose pretty quickly. To be safe, keep the two separate. Now you know how long does pre workout last, how to use it and a ton of tips to make it more effective. In the end, while pre-workout supplement are great at certain times of need, they are not a permanent solution. You won’t make great gains if you sleep 5 hours per night and eat poorly. Those are the basics and they should be dialed in first. But once they are, and you still fall prey to the fast modern lifestyle, take a scoop (but only one) and crush your workout anyway.